Gateshead Thunder and London Scholars were involved in another high-scoring game after the Skolars had edged home 55-52 in a thriller at South Shields last month. 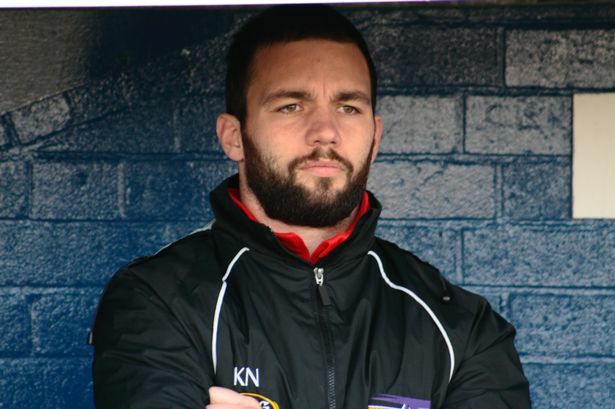 The return fixture at the New River Stadium saw the Skolars again break the 50-point barrier to record a fourth consecutive win as they ran in nine tries. Thunder this time couldn’t keep with them in the try- scoring stakes, though they gave as good as they got in a closely fought first. The scores were level at the break 12-12 after Gateshead had led, but Kevin Neighbour’s strugglers were blown away in the third quarter. London stepped on the gas to run in four unanswered tries, and two tries in each half were not enough for Gateshead who were 28 points adrift at the close. The home side made an early breakthrough when Mike Bishay crossed, but Thunder playmaker Benn Hardcastle responded when he converted his own try. That gave Thunder fresh impetus and they were ahead when fellow half-back Danny Nicklas skipped over the whitewash, Hardcastle adding the conversion. That gave the visitors the lead for the only time in the game, with Skolars winger Ade Adebisi restoring parity on the half hour. Thunder’s hopes of adding to their solitary win this year were then dashed when London came out all guns blazing in the second half to clinch the game. Dylan Skee nipped over two minutes in, and within seven minutes James Anthony and replacement Louis Robinson had added further tries. When Anthony touched down for his second on a hot afternoon in the capital it was game over with Gateshead now 22 points adrift. Quck-fire tries from winger Omari Caro and full-back Luke Hardcastle briefly gave Gateshead hope, but that was extinguished when the Skolars ran in three more tries. Michael Worrincy, Dave Williams and Sam Wellings all crossed to leave Gateshead again well beaten. Gateshead Thunder: L.Hardcastle, Johnson, Haynes, Blades, Caro, Nicklas, B.Hardcastle, Green, Stamp, Fewlass, Heil, Cockburn, Payne. Subs: Hough, Welton, Stoker, Krebs.